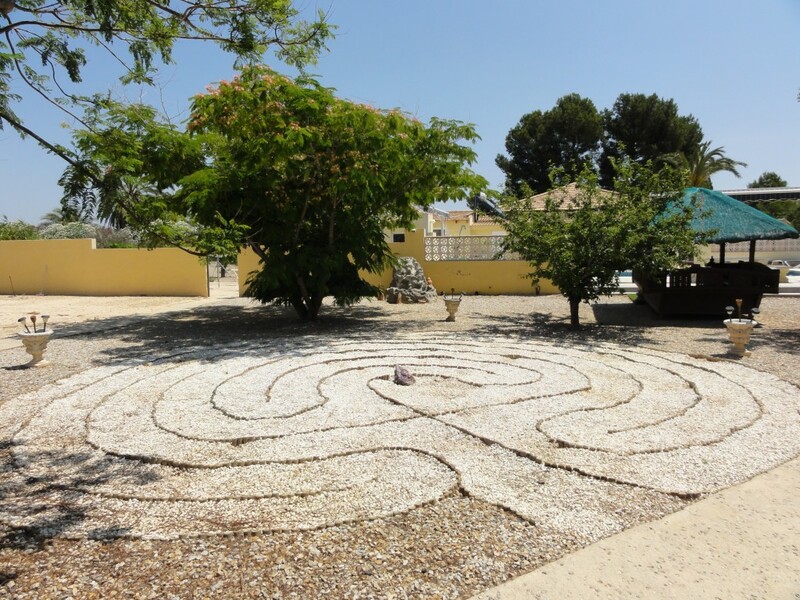 The Acacia Centre for spiritual awareness and healing is located near Murcia in Spain. It was founded by Barbara and Robert McLernon in November, 2008, with the principal objective of creating a beautiful environment in which guests could develop, and receive expert training, in all aspects of spiritual mediumship and healing. Guests can benefit from a variety of well-proven alternative healing therapies such as the McLernon Method, hypnotherapy, psychotherapy, NLP, radionics, Psychic Surgery, Reiki, and testing for food intolerance. Results from these therapies are often dramatic. There is also a Spiritualist Service on Sunday morning at 11am. This is held in the sanctuary and includes a demonstration of mediumship. The sanctuary can seat 50 guests and the wooden lodge 55. The Acacia Centre is perfect for courses, workshops and functions. Accommodation for residential guests is organised locally. Initially, the Acacia Centre was a finca (small holding) with 5000 square metres of land. A vast amount of work was required to transform it into the beautiful place it is now, but it always had a very special energy. The Acacia Centre is a haven of peace, light, and tranquillity. Visitors can usually sense this and visiting mediums frequently comment on the remarkable spiritual energy they feel as they seek to prove our survival of physical death. If you would like an informal tour of the Acacia Centre please don’t hesitate to telephone or email. You will always be most welcome. We are also available for Funerals, Blessings and Naming services. Please contact us for further information. The centre is located on the RM19 Autovia between Balsicas and Valle Del Sol, across from Polaris World La Torre Golf. Take the exit for Los Molinos and we are the first large house on the left, no8. Rob offers private consultations via Skype. If you are interested - please click the link below and make your payment via PayPal and then Rob will email you to arrange a mutually convenient time for the reading to take place. A reading will cost €30 and takes about 40 minutes.